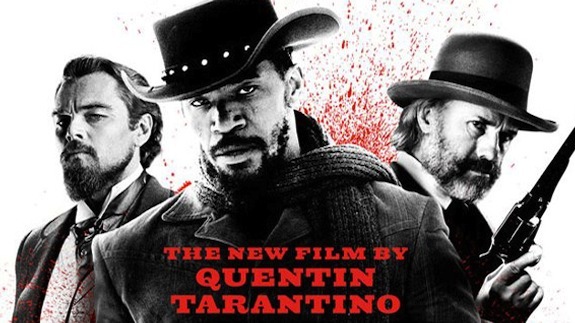 I went to see Django Unchained yesterday with my friends Neena and Anil and we had a great afternoon of movie, pop corn, soft drinks, shopping, tea and some serious problem solving for Anil with his iPad and mobile telephone. Okay so far. Jai will be Jai and I will not have him any other way. “It’s interesting that large numbers of “cowboys” after the civil war were ex slaves…hence the term “cow boy”…yet the average american only knows about white cow boys…. before the civil war the cattle industry relied on slavery to a great extent. Texas of course viewed itself as a none slave state…when it attained independence from Mexico the Mexicans insisted on no slaves..so the Texans introduced 99 year indentures (as in indentured servants). I remember my father telling me about Black cowboys…and today we heard a programme about them on the BBC…. I could not locate the BBC programme but a little research took me to this clip on YouTube. Okay, all of you must be wondering what prompts this rather unusual post. I suspect that Tammy would have already known that she would feature in this post and she is right. She inevitably calls me the Cowboy as she remembers my having translated my family name a long time ago. My family name translated into English is King of Cowboys. That is what Krishna was and our name is one of the many that He goes by. Yes Jai I am now unchained and as you would have noticded, I have been doing many things that I had not been able to the last so many years. I wonder if you too had this cowboy coincidence in mind? This entry was posted in Family, Language, Movies, Uncategorized and tagged Black Cowboys, Django Unchained, King of cowboys, Krishna, Quentin Tarantino. Bookmark the permalink. 22 Responses to Cow Boy Unchained. I laughed at Jai’s comment. So appropriate given tammy’s name for you and your new freedom. Cheerful Monk recently posted..Too Complicated? Jai is truly an irrepressible fellow with a great sense of humour. I heard that programme that David talked about, ‘Forgotten Black Cowboys’ presented by Sarfraz Manzoor. On his journey through Texas, he finds that the west was populated by both African Americans and Hispanic cowboys, and that their legacy lives on today. He joins a trail ride with black cowboys as they make their way across the dusty plains following the routes of their ancestors. Complete with twelve covered wagons and up to 200 riders on horseback, Sarfraz finds a great pride in this black heritage. In Wichita, Kansas, he meets one remarkable performer, the very first actor to appear as a black cowboy in the movies of the 1930s. At a time of racial segregation in the United States, few white cinema goers would ever have heard of Herb Jeffries, but he was the hero in films such as ‘Harlem on the Prairie’. Today Herb Jeffries is about to turn 100. Sarfrez visited the National Multicultural Western Heritage Museum in Forth Worth, Texas, with founders Jim Austin and his wife Gloria. Shackman or or Mike are the guys who might be able to give us more information. That’s the one… there was also one about Herb Jeffries earlier thatused some of the same interview material. The point about him was that he was actually was born to an Irish mother and an Italian father (he was Umberto Valentino) and he took the part of African Americans in films…with the help of makeup….. reading and all too brief wikipedia entry it seems that he did some benefit work for autism and other charities…. Now to seek out some ealry jazz recordings if I can find them. Wow! Anyway, for me it was all excitingly new information. My we never know what a simple announcement will trigger, will we. I had heard of black cowboys but only as part of the vast slave empire on which the US was built. I never fail to be amazed at such developments when they occur! i can’t say that i’m a real fan of quentin tarantino movies. i’m a little to milk toast for them! but i remember learning about a really famous black cowboy named bill pickett. he invented bulldogging. he used to bite the lip of the cow to bring it down. wow. now that’s either VERY sad. or very amazing. and knowing how I love animals you know where i stand. he died in 1932 from being kicked in the head by a horse. but he apparently was quite the cowboy til then. i think of you as a different kind of cowboy! (regarding the post where i learned of it from you. LOL!) a much more exotic cowboy as it were. oh! I’ve always wanted to say “as it were” hugs rummy. you old cowboy. I love the way you say sheesh, as it were! I recommend it highly for sheer entertainment value despite some ugly scenes. I suppose that both are correct! Yes I did John and depending on the size of the play mate, roles were decided! I haven’t watched the movie yet (I watched Skyfall first and next will be Argo); but I will. The whole cast is impeccable. I didn’t know about the black cowboys, so I learned something new today: thanks to you and to David. Max Coutinho recently posted..David Cameron a Pseudo-Conservative? Argo is yet to be released here but the next one on my list is – Olympus has fallen. Very likely in the next couple of days. Well, being the EXTREME milk toast…I have never seen a Tarantino movie. And my husband (who sees every movie) was appalled by the graphic violence and brutality in this one. So I didn’t go near it! Interesting all of the history on cowboys, however. Being raised on Roy Rogers and the Lone Ranger, I never really thought about racial diversity in the group (except for sidekicks). Ramana, I’m going to email you a song. Maybe you will know how to post it. I am still waiting for the song Mother! I will gladly post it and what is more, give you full credit for it. Hmm…I sent two by email. I’ll need to figure that one out! Got them now. Shall try and oblige.